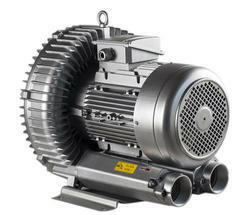 Alfa Technovac supplies Side Channel Ring Blower in several ranges. Suitable for both Vacuum pressure application. Application areas includes, pneumatic conveying, powder transfer, aeration, air blower, pick place, vacuumholding several industrial application needing vacuum pressure. TECHANICAL DATA Capacity: Up to 2500 m3/hr. - Can be used with VFD to enhance the capacity of Side Channel Blower. We bring forth our vast industrial experience and expertise in this domain, providing standard quality range of Ring Blower. This Ring Blower is available in variegated sizes, range and designs as per the customers specifications and demands. Our product range is furthermore used in different industrial applications. Scogen specializes in the design and manufacture of high quality and reliable Side / Lateral Channel Blowers – Exhausters for the efficient handling of air and gases. The lateral channel blowers have been developed on the theory of regenerative flow. Due to this unique principle of operation and design, there is no contact between rotating and stationary parts. Start Range: 50 cu. mtrs/hr to 500 cu. mtrs/hr. 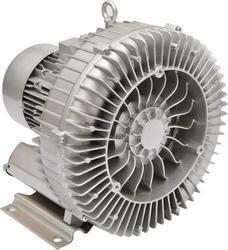 We are the manufacturers of Side Channel Blower. These blowers are designed to deliver vacuum with a high air displacement. The range starts from 50 cu. mtrs/hr to 500 cu. mtrs/hr. Manufactured as per the defined quality standards, these are quality tested on defined parameters before their final dispatch.